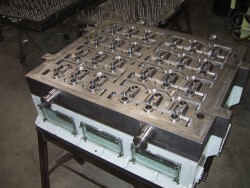 Maumee Pattern designs and builds fully CNC and CNC EDM machined molds from H-13, P20, 4140, or other material and to customer specifications for chemistry, heat treat, hardness, surface finish, and accuracy. 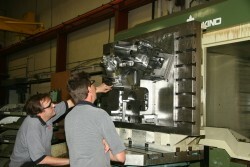 For low pressure, tilt, and static/horizontal casting machines. 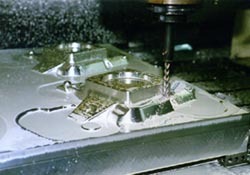 Maumee Pattern designs and builds fully CNC and CNC EDM machined dies from H-13, P20, 4140, or other material and to customer specifications for chemistry, heat treat, hardness, surface finish, and accuracy. 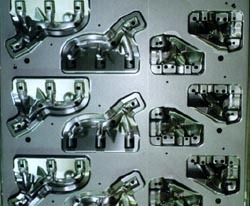 For die cast and squeeze cast machines. 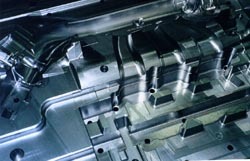 Experience in equipment for all automotive castings including blocks, heads, intake, exhaust, crankshaft, suspension, transmission, and brake parts. 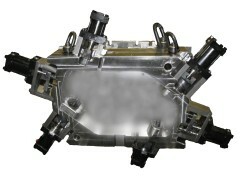 Maumee Pattern has experience in corebox construction for all types of automotive multi-cored castings. 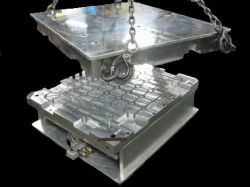 Corebox component weights to 10,000 pounds (4,545 kg). 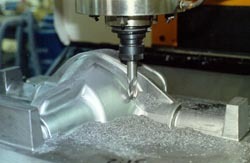 Maumee Pattern has designed and built fully CNC machined lost foam tools and assembly fixtures since 1991. 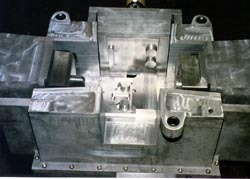 Maumee Pattern has experience designing and building fully CNC machined wax investment tooling for the lost wax process. 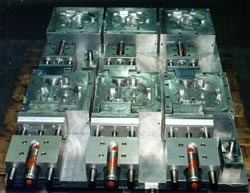 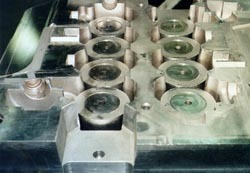 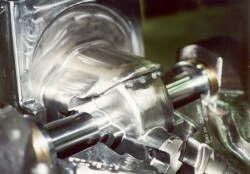 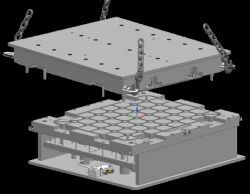 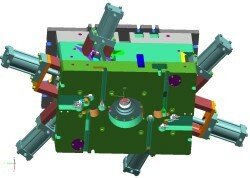 Molds can include straight or helical draw pieces activated manually, mechanically, or by air cylinders.